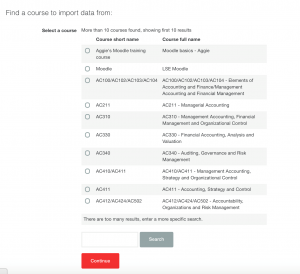 The import feature allows you to copy one or more activities or resources such as Assignments, Quizzes or Files from one course into another. This will help you to re-use content without having to spend time to re-create it. 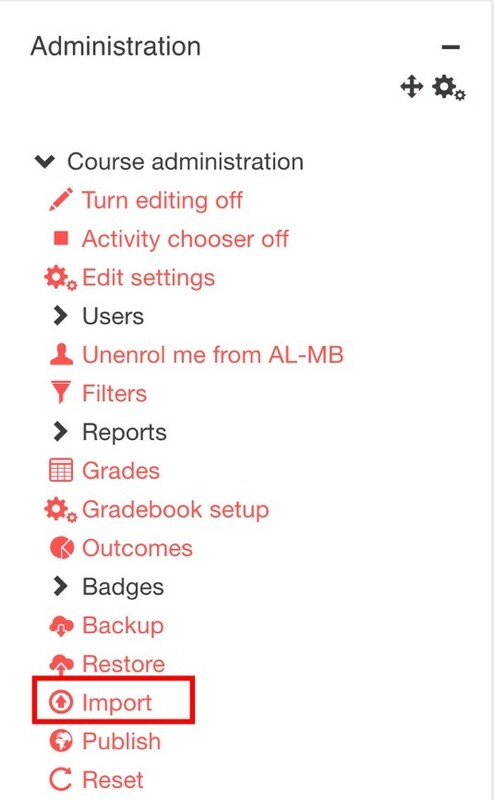 Before starting, make sure you have editing permissions in both courses. 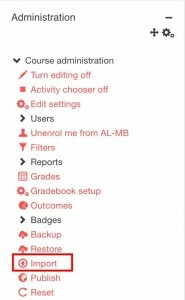 Copied items will include settings such as due dates and grade settings, but will not include any student data or submissions. You can’t copy external tools resources such as Echo Recording lecture videos or Reading Lists and you won’t able to copy Turnitin assignments as this will create duplicates. 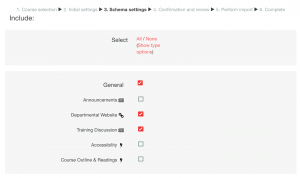 If you need to copy content across courses in two different Moodle sites go to Copy course material from one Moodle site to another. Go to the course you want to copy your content to. 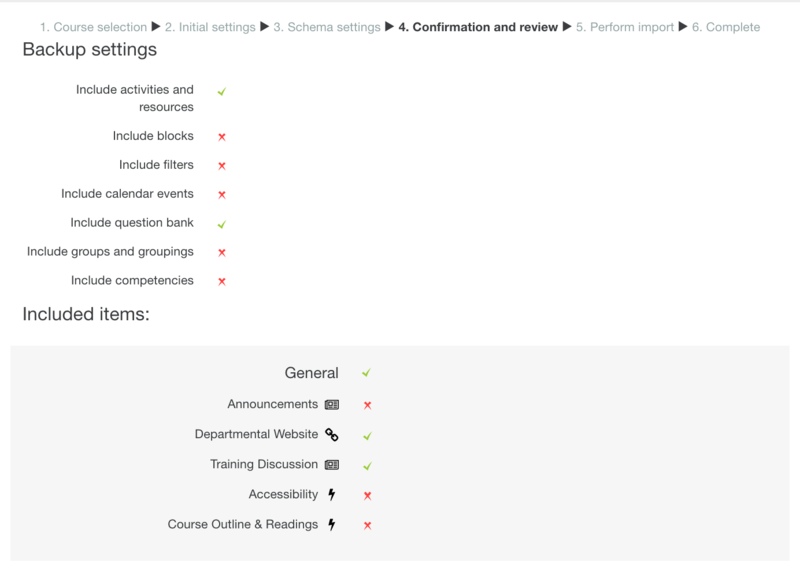 In your Administration block go to Course Administration>Import. 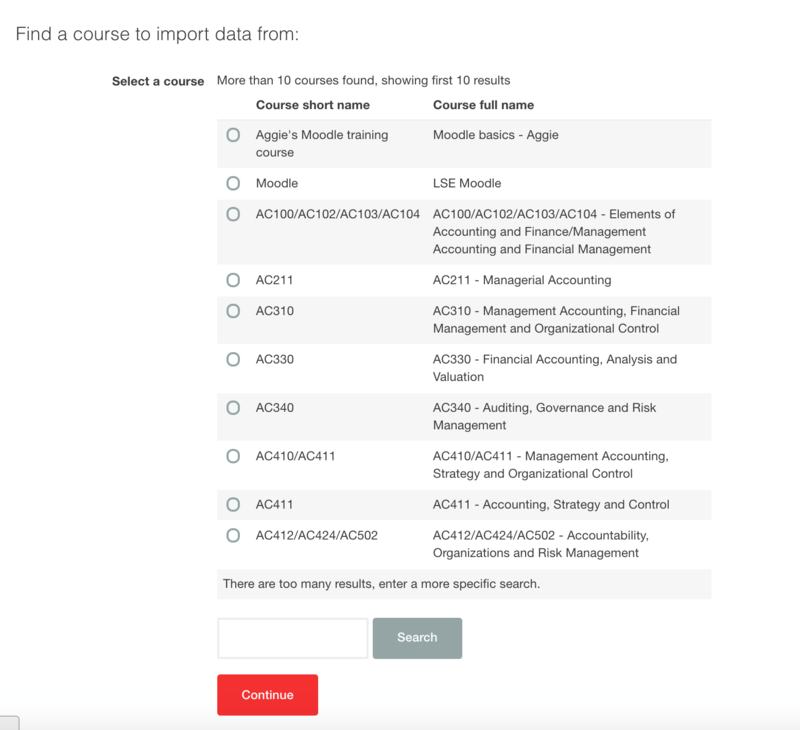 Choose the course you want to import from, picking from the course list or searching from the search box below. After selecting your course, click Continue. Select only Include activities (to copy over assignments, questionnaires, quizzes …) and Include question bank if you are copying over quizzes. Click Next to proceed. 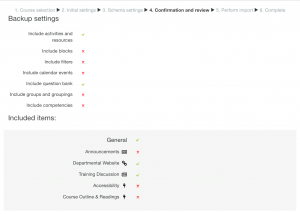 The following screen will show you the sections on the course page you are copying and the activities and resources they contain. Select the activities and resources that you wish to include. To tick/untick your items quicker, you can use the Select All/ None function at the top of the page. When you are ready to continue click Next. Confirm the activities and resources that will be imported. All included items will be marked with a green tick and all the excluded content with a red cross. 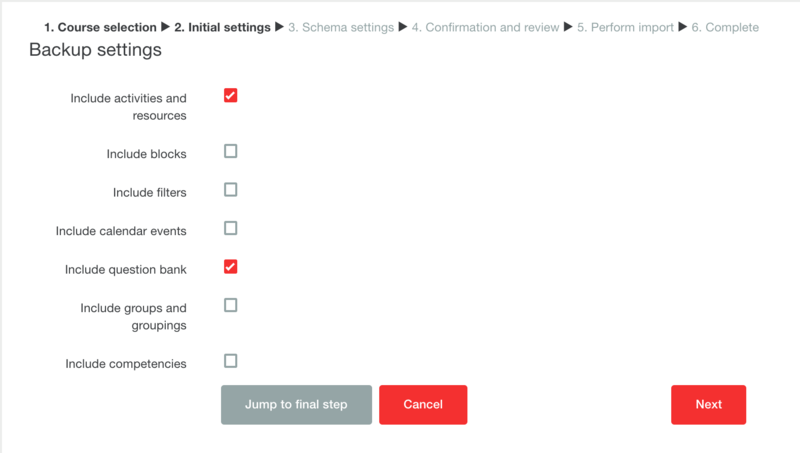 If you need to change your selection, you can always go back to the previous step by clicking the Previous button at the bottom of the page. 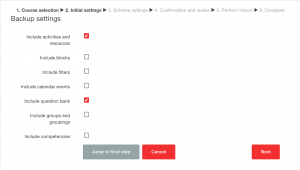 After reviewing, click Perform import. It might take a while to import your course items. Your import will be completed once you see the below message. Click Continue to return to the course home page. The copied items will appear in the same position as they were in the original course. 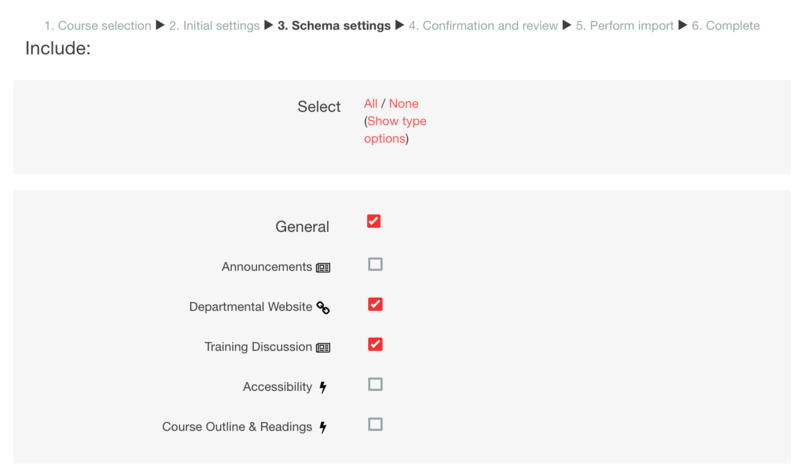 Turn editing on in your course page so you can drag them into the Section or order you wish.